One of the most frequently litigated issues today is whether a robocall to a cellphone involves an autodialer and thus violates the Telephone Consumer Protection Act (TCPA) if it is made without the consent of the called party. The TCPA is the main bulwark against the onslaught of robocalls to Americans’ cellphones, and, with statutory damages of $500 for each robocall ($1500 if willful and knowing), it provides powerful remedies for consumers. A thorough TCPA analysis and the very latest case law developments is found at NCLC’s Federal Deception Law Chapter 6. A broad definition of “autodialer” (technically, “automatic telephone dialing system” or ATDS) is essential to give teeth to the TCPA. A recent Ninth Circuit decision in Marks v. Crunch San Diego, L.L.C., ___ F.3d ___, 2018 WL 4495553 (9th Cir. Sept. 20, 2018), is a critical new precedent for a broad interpretation of autodialer. In rulings issued in 2003, 2008, 2012, and 2015, the FCC had adopted a broad interpretation of the statutory definition of “autodialer”—one that covered predictive dialers and other dialing systems that dial numbers without human intervention at the point of dialing. However, in March 2018, the D.C. Circuit set aside the FCC’s 2015 ruling, primarily on the ground that it was internally inconsistent but also because it did not make clear why it would not encompass ordinary use of a smartphone. ACA International v. Federal Communications Commission, 885 F.3d 687 (D.C. Cir. 2018). The D.C. Circuit’s decision has engendered a great deal of uncertainty about whether the FCC’s pre-2015 orders remain in effect and, if not, how to interpret the statutory definition. The Second and Third Circuits have taken a restrictive view of one term in the statutory definition of autodialer, ruling that the term “capacity” means that the dialer must have the present ability to perform the functions specified in the statute, and that future potential functionality is insufficient. King v. Time Warner Cable, Inc., 894 F.3d 473, 481 (2d Cir. 2018); Dominguez v. Yahoo, Inc., 894 F.3d 116 (3d Cir. 2018). However, there are several other terms in the statute that are amenable to a broad definition, and neither decision addresses any of them. Enter the Ninth Circuit. In Marks v. Crunch San Diego, L.L.C., ___ F.3d ___, 2018 WL 4495553 (9th Cir. Sept. 20, 2018), the Ninth Circuit interpreted the statutory definition of an autodialer to encompass any device that dials numbers from a stored list—including the predictive dialers that most robocallers use today. The decision focuses on the role of the word “store” in the statutory definition—a question that no other court had addressed in any detail. The decision supports its conclusion with a meticulous analysis of the ways in which a narrower reading of the definition would be inconsistent with other TCPA provisions. • The growing split as to whether the FCC’s pre-2015 orders regarding the scope of the ATDS definition remain in effect. See § 6.3.2.2.2 to 6.3.2.2.4. • The application of those orders to the various types of autodialers. See § 6.3.2.2.5. • The interpretation of the terms “capacity” and “sequential” in the ATDS definition. See §§ 6.3.2.3.2, 6.3.2.3.4. • A roundup of controlling circuit decisions, including decisions issued before ACA International that appear to remain controlling in their circuits. See § 6.3.2.4. 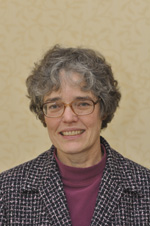 Carolyn Carter is the Deputy Director at NCLC (previously serving as Director of Advocacy). She has specialized in consumer law issues for over 30 years. From 1974 to 1986 she worked for the Legal Aid Society of Cleveland, first as a staff attorney and later as law reform director. From 1986 to 1999 she was co-director of a legal services program in Pennsylvania. She was the 1992 recipient of NCLC’s Vern Countryman Award. She is admitted to the Pennsylvania bar. From 2005 to 2007 she was a member of the Federal Reserve Board's Consumer Advisory Council. She is a graduate of Brown University and Yale Law School. She is co-author of NCLC's Truth in Lending, Unfair and Deceptive Acts and Practices, Collection Actions, and Consumer Warranty Law and is a contributor to a number of other NCLC treatises.